There is no age limit to gaining your dream smile. That is why Dr. Amir Dehghan is delighted to welcome patients of all ages to embark on the journey to a healthy and confident smile. If you are considering getting braces for adults in Los Angeles County, meet with Dr. Amir, and see how you can benefit from our services and our quality and affordable braces. Dr. Amir provides numerous orthodontic treatments and through an individualized and careful process, he is capable of helping you find the perfect treatment that will match all of your personal needs and goals. At his practice, in addition to the traditional metal braces, you can also transform your teeth without anyone ever noticing with some more discreet options like clear braces. These clear braces help you sustain a natural and professional look during your treatment. What are the differences between the traditional metal and clear braces? The classic metal braces are made out of a resistant and reliable stainless steel. 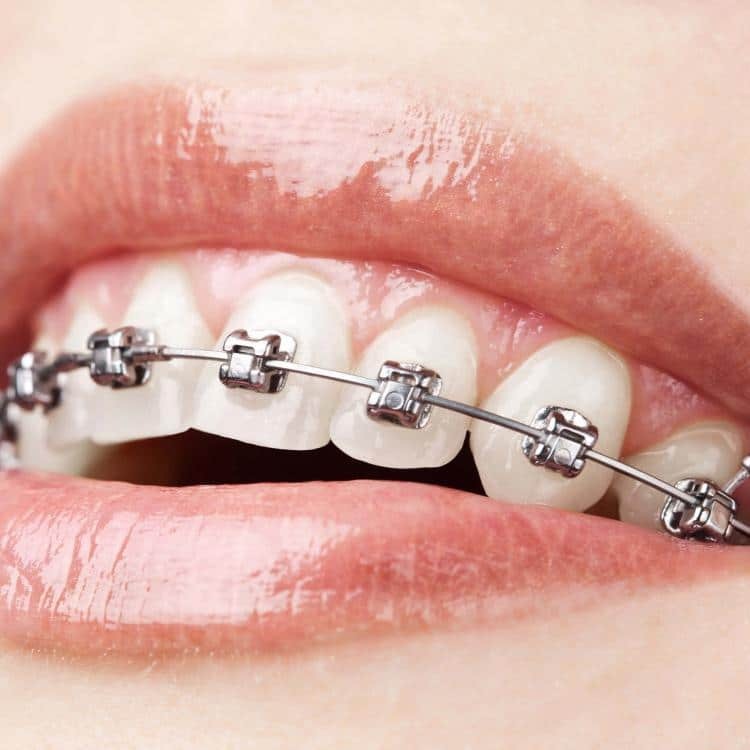 As the most of braces, they are designed with brackets that are attached to the front of each tooth and connected with a wire. This design is what moves the teeth into ideal positions. Today, these traditional metal braces come in a variety of colors, materials, and styles making them more enjoyable to wear. Clear aligners, on the other hand, are made of durable, plastic material. They accomplish the same straightening tasks as metal braces without the use of brackets or wires. In order to fit your teeth, clear aligners are custom made per patient, built for comfort and removal. Dr. Amir will help you decide if clear aligners are the perfect treatment option for you. During your initial consultation, he will review all of the viable treatment options, and help you chose the best braces for adults for your dream smile. Straight teeth make a beautiful smile, and improve oral health and function as well! Superb orthodontic treatment will not only help you feel confident with your smile, but it will also help you avoid severe tooth decay, gum and bone loss, TMJ/TMD pain, and irregular wear of tooth enamel. Consider using traditional braces for getting a more beautiful smile as traditional braces are backed with more years of research than any other oral treatment available. Traditional braces are more efficient for complex dental issues. Additionally, because they are not removable, there is no way to lose them or forget to put them back. To learn more about the benefits of our affordable braces and other orthodontic treatments, we welcome you to call or visit us today. We look forward to helping you achieve a straighter, healthier smile! Book your Complimentary Consultation & Get 50% Off on Braces (Limited Treatment). If you’d like to schedule an appointment, you can complete our request form below. Simply tell us what times and days of the week work best within your schedule, and a member of the CaliSmile team will be in touch with you shortly to confirm your appointment. Saturdays are open. Book your Complimentary Consultation & Get 50% Off on Braces (Limited Treatment). If you’d like to schedule an appointment you can complete our request form below. Simply tell us what times and days of the week work best within your schedule, and a member of the CaliSmile team will be in touch with you shortly to confirm your appointment. Saturdays open.